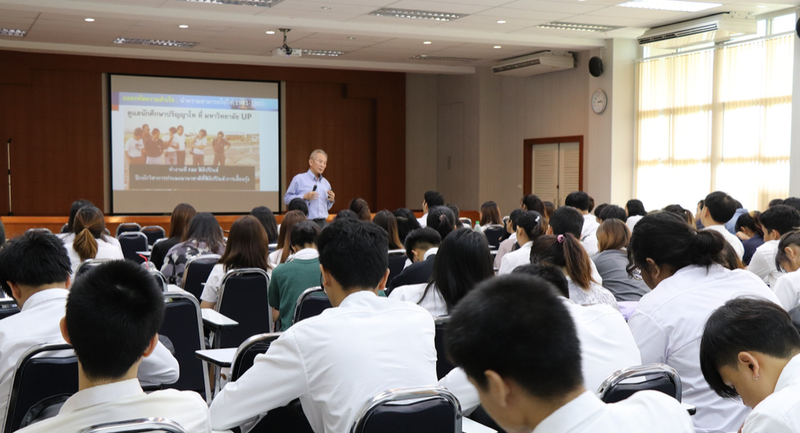 Special talk by Dr. Pinij Kungvankij at Kasetsart University in Thailand. 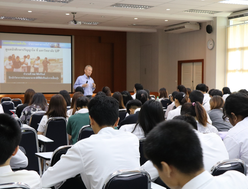 Guest lecture "Real life after graduation" by Dr. Pinij Kungvankij was held at Kasetsart University, Thailand on 17 August 2018. 90 students participated in the successful event. 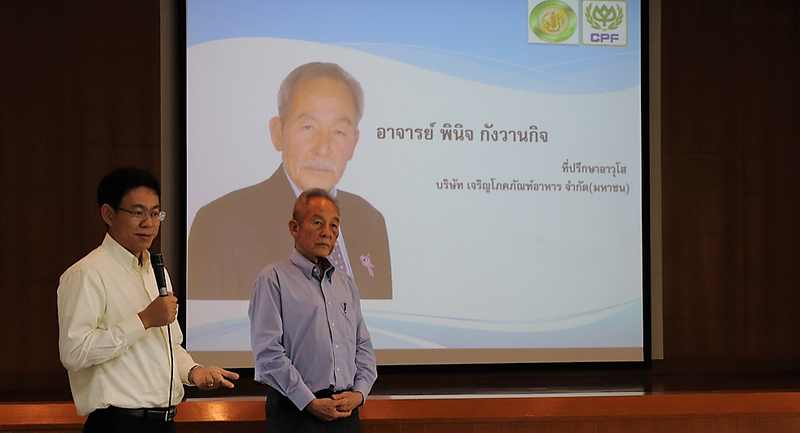 Dr. Pinij Kungvankij is the Senior Vice President of Foreign Aquaculture Development at Charoen Phokpand (CP) Group and Vice Chairman of Charoen Phokoand Foods Philippines Corporation. 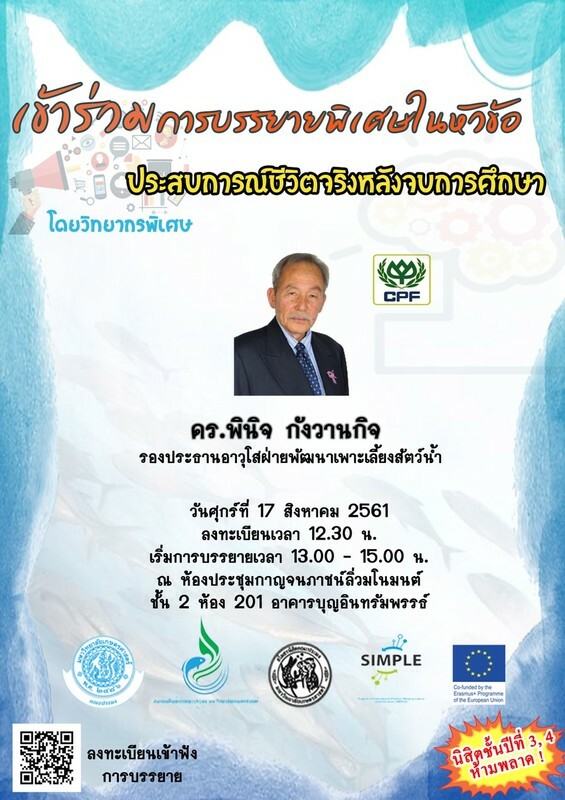 He has extensive experience in fisheries and aquaculture and is behind the success of aquaculture industry development in many Asian countries, including the Philippines, India, Indonesia and Vietnam. Prior to joining CP, Pinij ws a visiting professor at the University of Philippines under NACA/FAO/UPV joint master of aquaculture program and worked for the Food and Agriculture Organization of the United Nations. 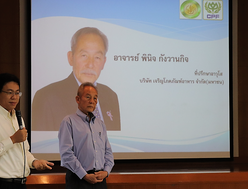 He also served as the Director of Satun Fisheries Center at the Department of Fisheries, Ministry of Agriculture and Co-operative. 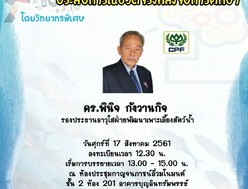 He holds a bachelor of science degree from the Faculty of Fisheries, Kasetsart Univeristy and honorary doctorate in aquaculture technology from Maejo University Thailand.